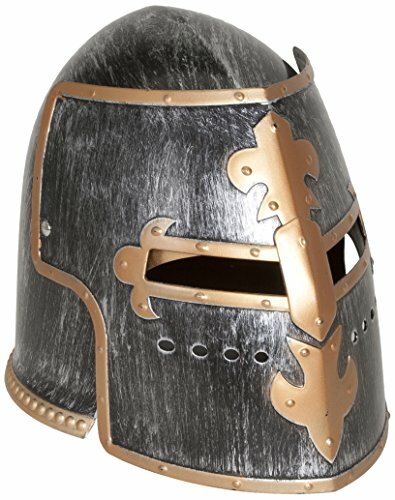 This hand made Crusader helmet is fully functional and made from 18 gauge carbon steel and trimmed in brass. 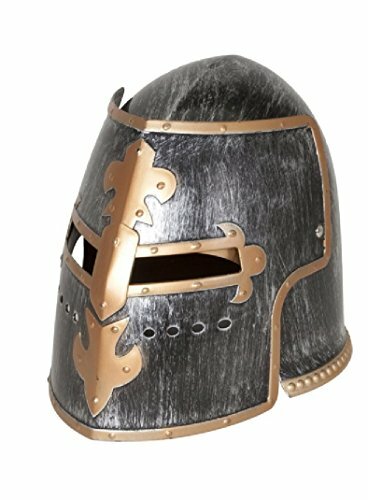 European Knights 16th Century Armet Style Helmet This helmet became popular throughout Europe during the 15th and 16th centuries. 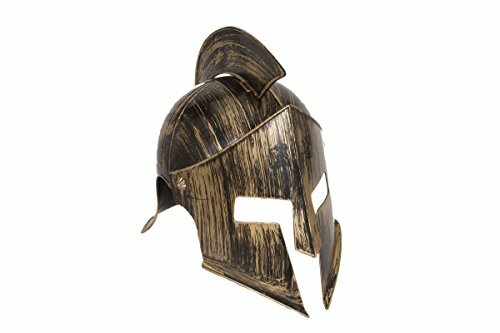 Hand-crafted from 18-gauge steel and featuring brass accents, this piece can be worn or used as decoration. 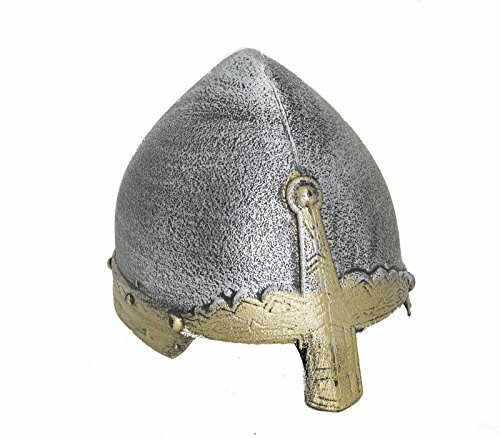 No lining or suspension is provided, this allows for individual customizing.Fully wearable, this is a substantial all-steel Knight�s Close Helmet of European 15th & 16th century style. 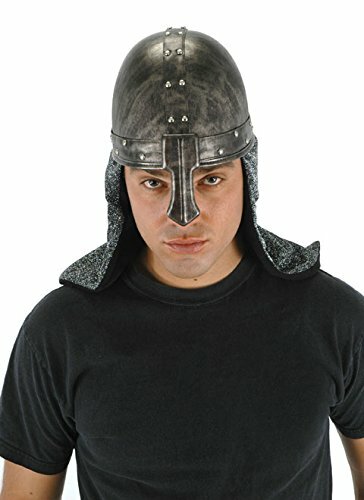 Not a cheap tourist copy but a faithful museum quality Helmet. It is a full size reproduction in a bright steel finish. A fabulous display item! 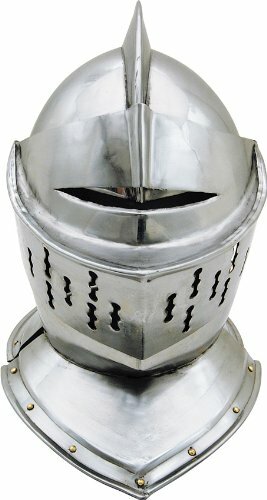 This Close European Medieval Helmet is 15" in height. It is made of 18 gauge steel. The visor is attached and the helmet is fully functional. 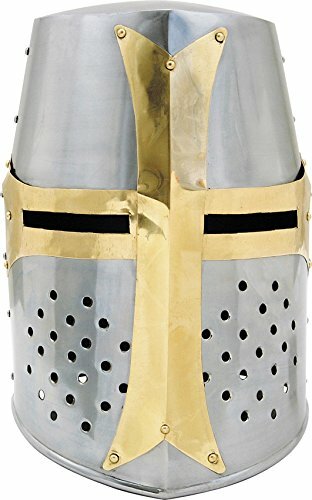 Grab this Medieval Crusader Helmet. 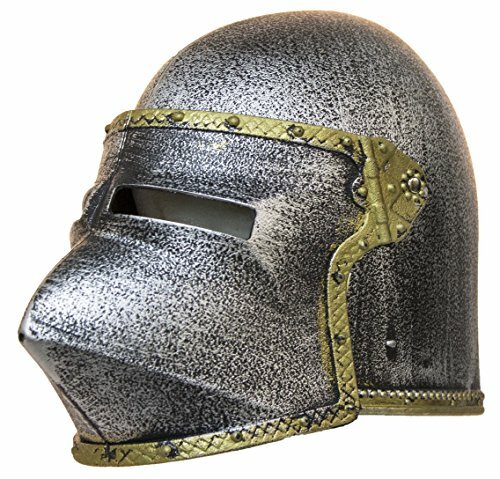 Comes with moveable face shield. Outfit for men. An addition to your costume. 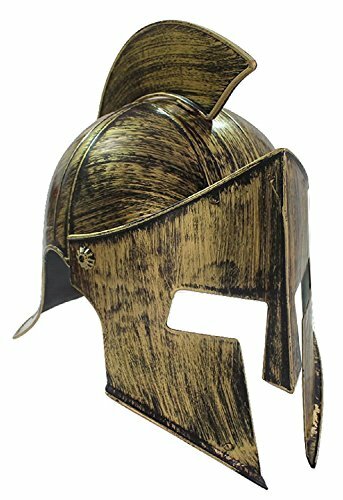 Nicky Bigs Novelties Bronze Spartan Medieval Iron Knight Helmet This thick plastic helmet features movable face mask and removable top flare. 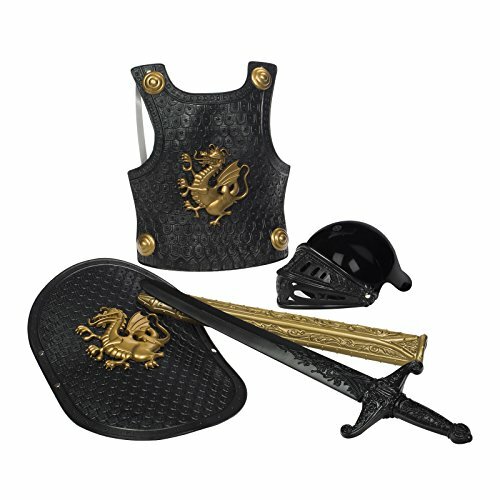 The helmet is perfect for dress up, reenactment, costume, and pretend play. 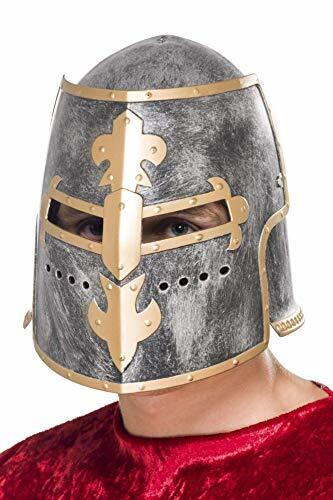 Do not use this helmet as a safety device or protection. 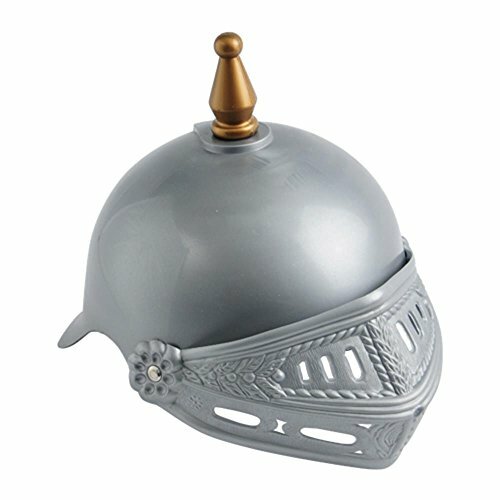 This helmet is a toy. 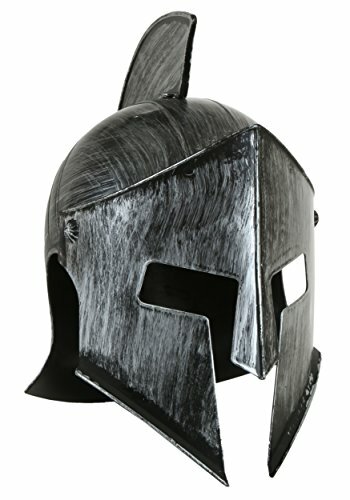 The helmet measures approximately 12 inches tall when assembled, 10 inches from front to back, and 8 inches from side to side. 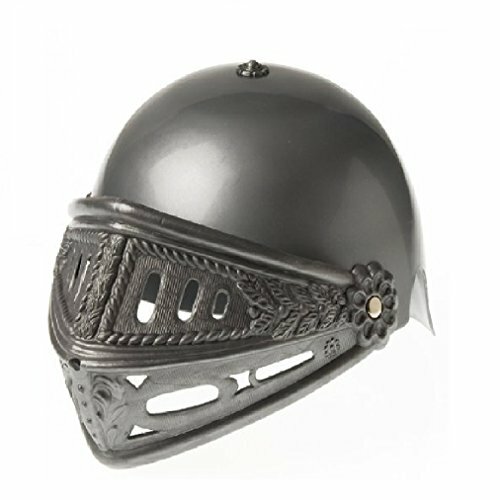 The helmet will fit most adults and some children. Add adhesive back foam inside for comfort and better fit.